Stacy Tilton Reviews: Shake to activate! You may have seen dual-phase technology in micellar water and other beauty products, but what about in the oral care aisle? 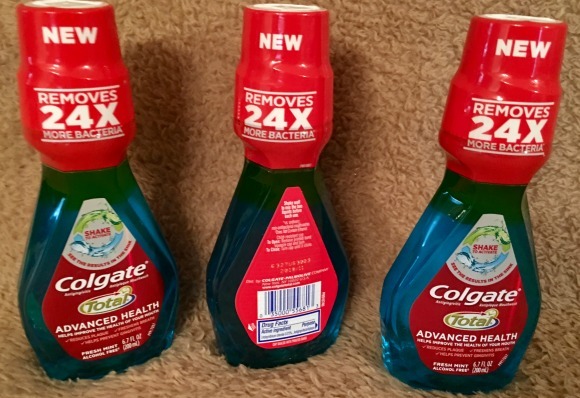 Colgate Total Advanced Health Mouthwash is proud to be the first oral care product to contain two-layer technology- combining the freshening power we all love with germ killing ingredients. This innovative dual-phase formula mouthwash is proven to remove 24x more bacteria, and you’ll actually see the results in your sink. All you need to do is simply – Shake, Clean, and See – for a healthier mouth!